I’m originally from Slovenia but moved away about 15 years ago. I studied in Holland, Australia and Kenia before I moved to Berlin where I met my husband. We lived in Berlin for about 4 years when I got a job offer in Belgium as a policy analyst that I just couldn’t refuse. So we made a very surprising and unplanned move to Brussels. 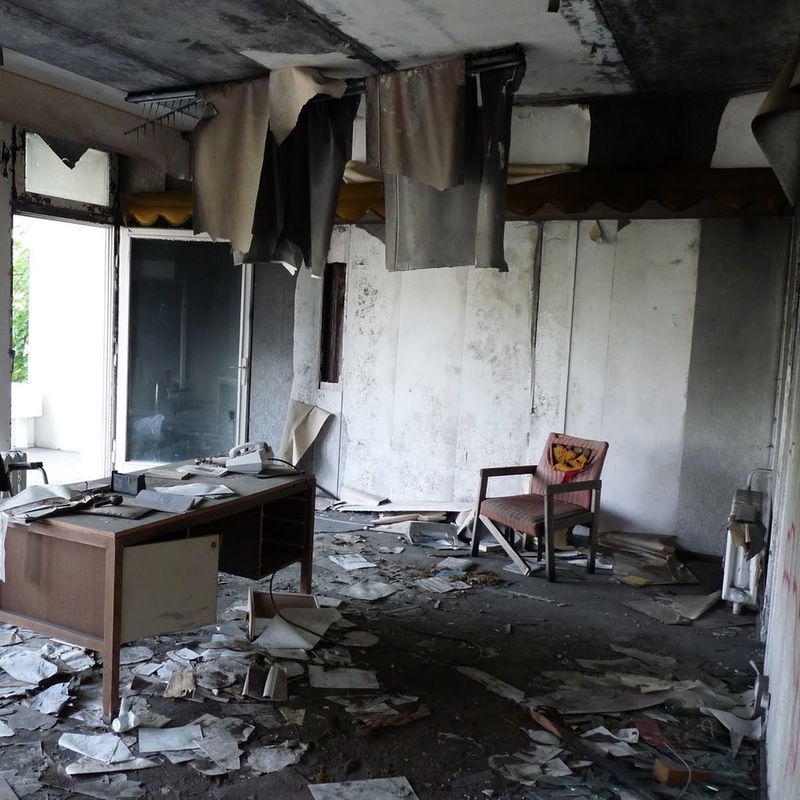 We stayed there for 3 years during which we started a design studio “lmbrjk”. We now live in Antwerp where we recently launched “Klein”. So how did you end up in Antwerp? Brussels is a very particular city to live and work in so after 3 years we started planning to move to the US. At the same time our design studio really started to take off and through our many travels we were tipped about this great construction site in Antwerp. We adapted our plans and made the move to Het Eilandje in Antwerp. The house is this little jewel ; we live on top, and have the studio at the bottom. We started a new venture called « Klein » that is also integrated in the space. On one part Klein works as an agency, the other part is the kitchen; in the weekends we do a California inspired brunch and a private dinner club. It was sort of always part of the plan to start something like this. We always enjoyed hosting people and always wanted to have a space where we could showcase our products so we now combine both in one concept and space. It’s a learning experience for both of us but I think that is how beginnings are. You have to put all of yourself in, to then have a bit more freedom in the end. I am mostly drawn to things when I know a bit about it. If I know the person behind it or if I know what the brand stands for, it’s things that have a meaning that I love. You see me mostly in sneakers (I have tens of pairs of Nike Roshe), it’s part of my current lifestyle. I am mostly just running around, being in the kitchen and all that stuff. So currently I am more on the relaxed side of fashion. During my time in Brussels I was a completely different person, mostly suited up for big meetings. You develop a different style every time you move. You adjust to what is there, to what is available. Although there are certain things that seem to follow me everywhere like 10 different pairs of black jeans for example. The change feels good when it comes to personal style, I feel much more comfortable now. What do you like most about moving around? By now it always adds up with just being with other people. My network of friend gets broader and broader and bigger and bigger with every move we make. At this point in life you really start to appreciate those relations. Even when you move on I always make sure that the ones that are close to me stay close. We travel a lot to still see those friends. I also like the new discoveries. I like being new to a place. It’s always full of discoveries, a bunch of new things to see. It’s about new things and unknown; those are my go-to’s. It’s not just about the move it’s about the way you have your life set. Do you ever think of moving back? Going back to Slovenia once or twice a year is always kind of eye opening. It all started with a feeling that I just had to leave because it became too small but now it’s just this mind-blowing, stunning country. Whenever I arrive back I ask myself why I’m not here but then, a couple of hours later, you realize again that there are only 2 million people living there and it kind of feels like a village. So I do think about moving back sometimes, because of the quality of life there but going towards the US is also an option. I was very hesitant at the beginning, I didn’t think it was my cup of tea but we’ve spent quite a lot of time at the west coast, John’s parents live in California now, so it’s always nice to go back. The racial intermix, the weather, nature, it’s a very tempting mix. We will definitely still make a move but at this point we don’t see it as leaving Antwerp for good. We’ll still leave a little foot here. What are your all-time favourite places around the world? That would by far be LA. I love what happened there, it’s such a broad city with such diverse possibilities. So much is possible there. Their food scene, their attitude is so nice. I’m also a big fan of Lisbon. There’s a little bit of decay in the infrastructure that is overwritten by this positive spirit of people there. And then there is Nairobi, it’s definitely the city that marked me the most. Getting an understanding of different cultures and how society works. There are 54 different tribes so the intermix of realities is so powerful but for us sometimes invisible because they are all black. Kenia sounds like a very challenging and interesting location, what where you doing there? I was working with 2 researchers that were doing their post-doctorate degrees. They got pregnant so they asked me to jump in. It was a no water, no electricity type of situation. The Masai live as a tribe but they live in separate families, a couple of kilometres away in closed communities. The families are quite big with 5 to 10 wives, living in houses made out of cow dunk so reality was very different but very interesting. The initial adjustment was really hard but once I picked up the language it was much easier to get around. I spoke a little bit of Kiswahili. Masai mostly only speak Masai but the way they convert is very interesting. It was a very important experience for me. When I got back I changed my route, I switched more towards public policy, towards changing the society where I live where I know that I feel like I can have effect on people. Only when I was part of that world I realized how dirty it was. One last question, whatever gets you curious in life? I guess it comes down to people again. I love people, their backgrounds and their stories. We are all such mysteries and we carry so much with us. I love getting to know people, I am always curious about whom they are. And as much as I love traveling, I love informed traveling. I hate going places where I don’t know anyone. By now I feel like I have a connection of friends of friends of friends so when I get there, there will be someone that I can take as a point of reference. Someone that is local and understands the city. I think that is really important to get a good experience out of travels. 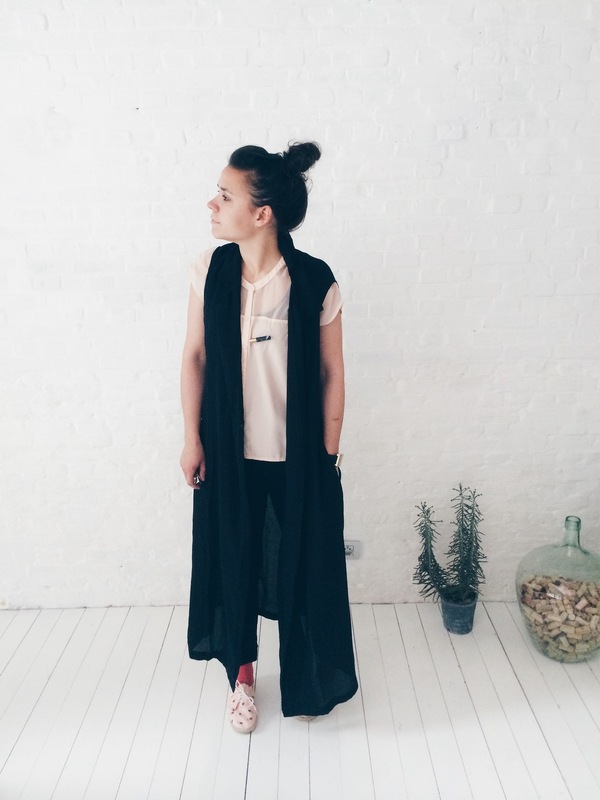 Masa is wearing our Amelia Jacketcoat in Beige and our Gabriel Jacketcoat in Black. We got to ask our Curious Ambassador, Maria Paula, 10 questions about her favourite city Berlin. This place is owned by Chakall, a quite well-known Argentinian cook. The menu is a fusion of all things South American; from delicious ceviches to the best steak and my all-time favourite dessert "flan de dulce de leche". Another plus is the great deco and the Pisco Sours! 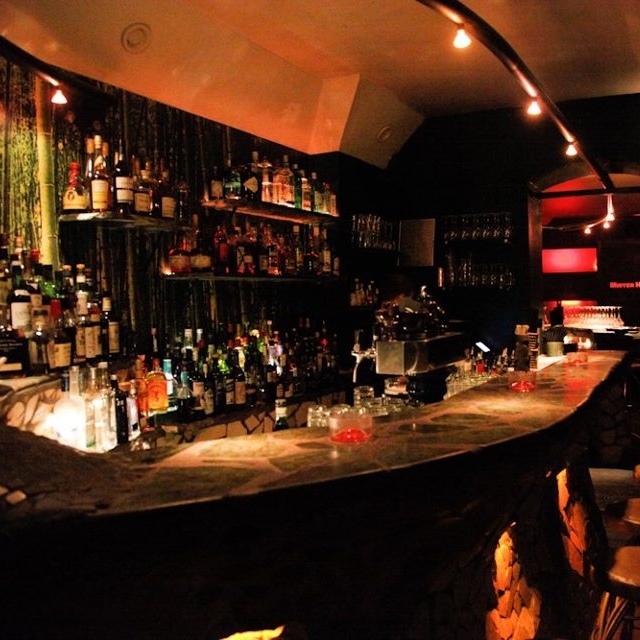 Located in West Berlin, Mister Hu is now my go-to bar because they certainly know how to mix there. Try the Moscow Mule or the White Russian, they are my personal favourites! This restaurant is really special, it is a burger joint but a truly fabulous one! They offer the most delicious gourmet burgers combined with the friendliest atmosphere and service. My go-to burger is the Egyptian one, with goat cheese and caramelised figs. This is really though as my favourite place in the world is the Helmut Newton Foundation (which happens to be a museum). 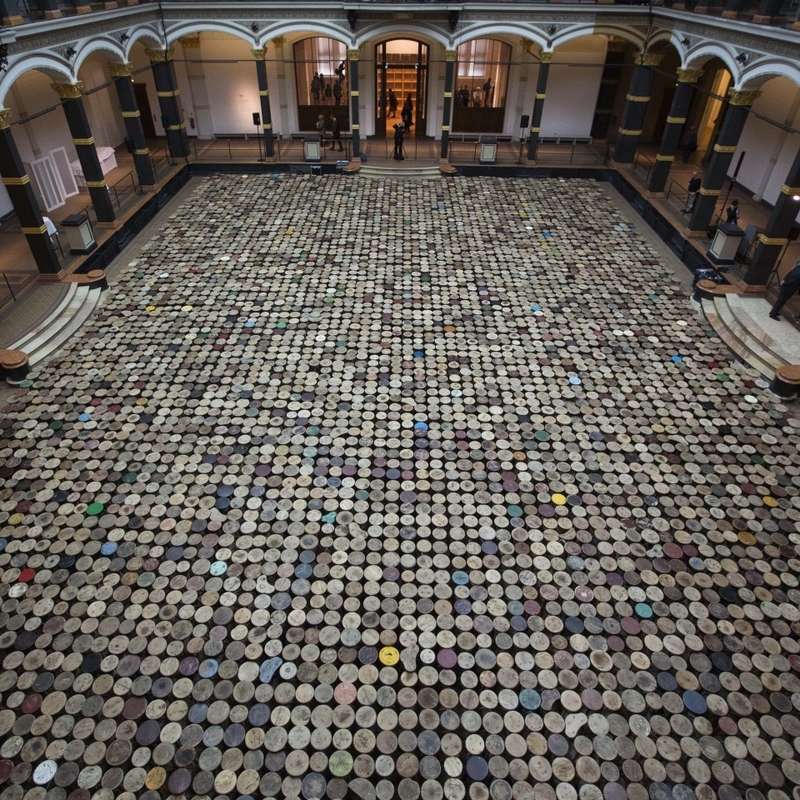 But I have to admit that the Martin Gropius Bau is the best curated museum in town. I have seen the best exhibitions there; a Diane Arbu retrospective, the biggest Ai Weiwei expo and the V&A Bowie one. It's also a beautifuly restored building with lots of history. I just feel at home every time I stop by this shop. Located int he South of Berlin, Down By Retro/ Bass Cadet Records is a vintage clothes store and a record shop all in one. They have a great vintage section, some original jewellery and beauty products and their vinyl collection is amazing. The best thing is that once in a while a really good DJ will come and play at the store which eventually always plays out in a real party. Even now that I live here, I still haven't finished discovering the city. Whenever a friend comes to visit I will take them on a tour around the city so that I can also get to do the touristy things little by little. 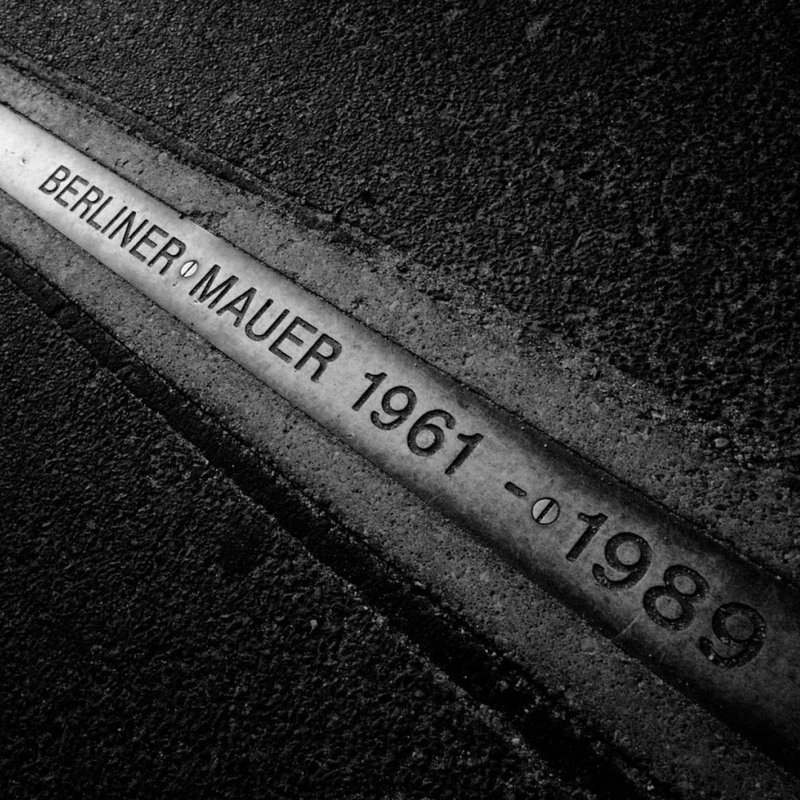 The Bedenkstätte Berliner Mauer or the Berlin Wall Memorial in Mitte/Prenslauer Berg is definitely a must-do. 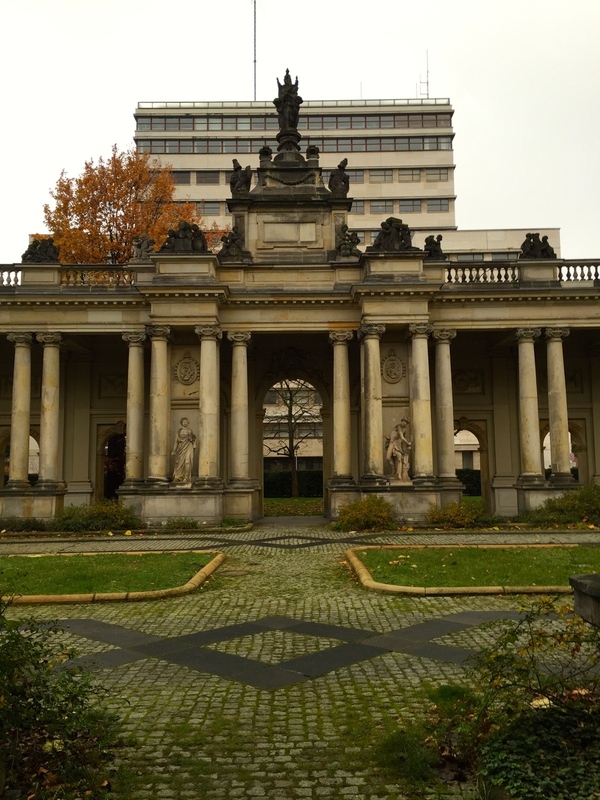 No doubt about it that the Karl-Marx Allee is the lane to stroll down. For some it may not be pretty, as the architecture is very soviet socialist, but I think it is magnificent. 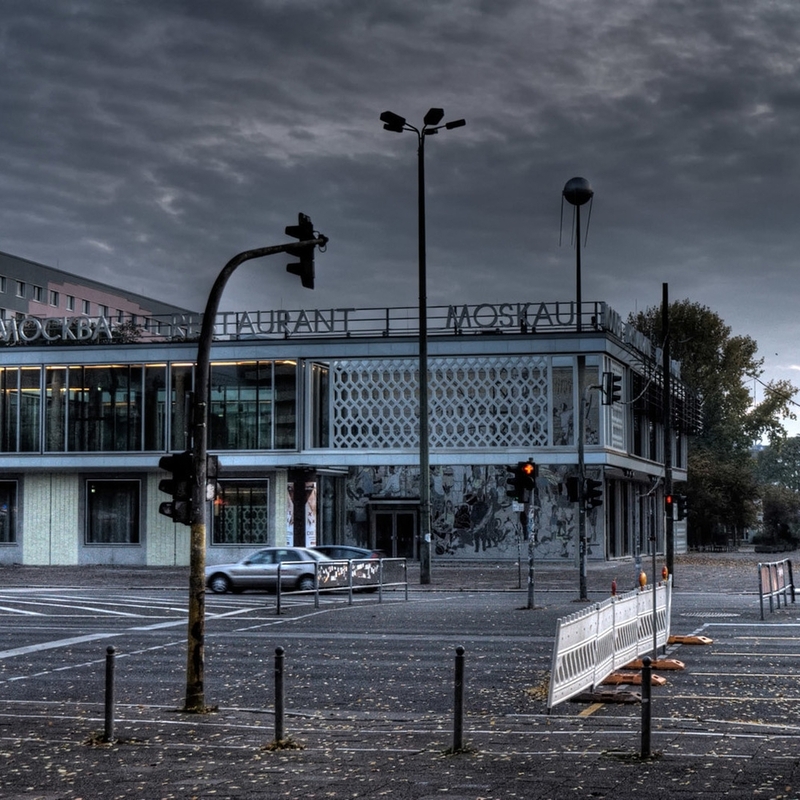 The most interesting buildings are Cafe Moskau, Kino International (a cinema, do catch a movie there if you can!) and there is even an old soviet hair salon turned into a bar. Just walk down the avenue from Alexanderplatz and enjoy. There are a lot of abandoned building in Berlin that you can explore. The Iraqi embassy, Teufelsberg, the abandoned amusement park Spreepark etc. Just wear some good shoes and get ready to jump over fences. The old market Markthalle Neun is turned into a street food festival every Thursday and once per month (on the third Sunday of the month), you have a Breakfast Market with super tasty options and a really relaxed atmosphere. 10/10 a golden tip from a local ? 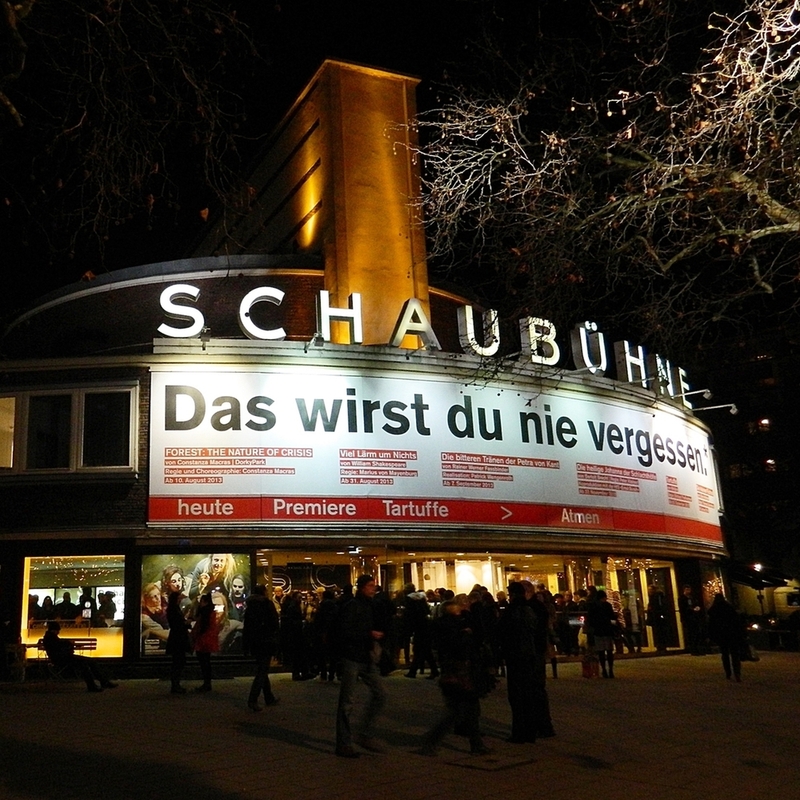 If possible get tickets and go see a play at Schaubühne, it is the coolest theatre I have ever been to. The photos for their posters and brochures are designed by Jürgen Teller (yes, that guy that shoots Celine, Marc Jacobs and Vivienne Westwood). We continue our "Curious Ambassador Series" with our second curious ambassador, Maria Paula Fernandez. 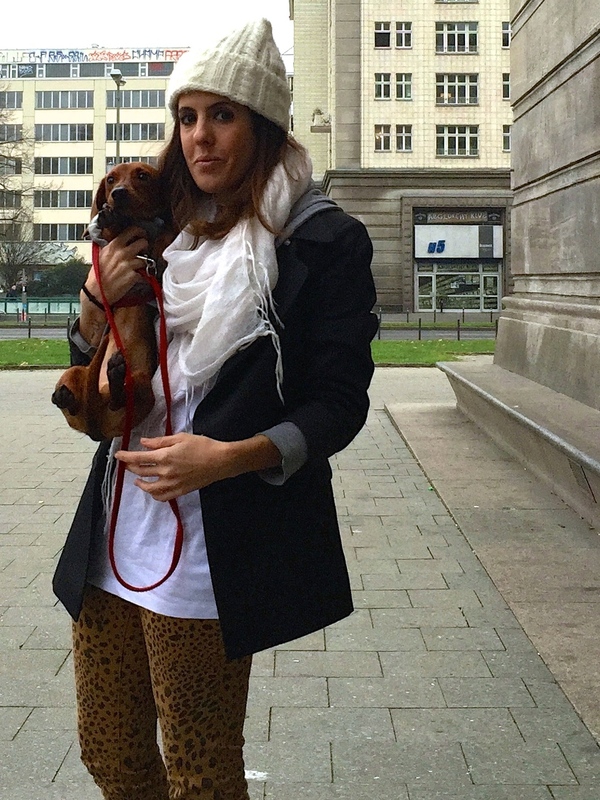 This Mediterranean soul is currently living the big city life in Berlin with her dachshund Tupac, while traveling the world working for an elite sport. Sounds more like the big city dream to us! I am originally from Buenos Aires but now permanently live in Berlin. All through my career in Buenos Aires most of my jobs were missing some creativity. I always had a need to develop my creativity so I have been making and designing jewellery for the past 10 years. At 20 I was hired to prepare an accessory collection for one of Argentina's biggest brands but that didn't last long because I didn't like the thought of my pieces being mass-produced. My last project, my jewellery brand called Shame on Jane, was really fun and successful. It is now at a rest because I decided to move to Berlin but I am sure we'll be back. It's just a matter of time before my creative instinct will want to go on another adventure. I currently work for a polo magazine where I use my creativity on a daily basis and where I am lucky enough to travel a lot. 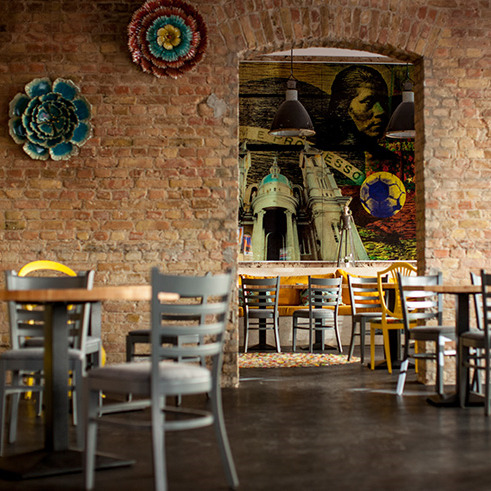 How did you end up moving from Buenos Aires to Berlin? I guess I always knew that I was going to live abroad. My grandparents were immigrants from Italy and when I was a kid we spent a lot of time sharing stories, which I enjoyed a lot, so it all came naturally. As soon as I decided it was time I started visiting places around the world to see if I liked them enough to actually move there. My last trip was to Berlin, which made perfect sense because it's cosmopolitan, vibrant, quite messy, little unorganized and full of culture, just like Buenos Aires really. So I came back, packed my bags, found a job and landed back in the city. I work for a polo magazine and pretty much do everything that I am able to do. Every tournament comes with a different challenge. At first it was just a sales and marketing job but then I became quite good at doing the tournament coverage so I take up that job a lot of times during the season. I will go to the tournaments for sales opportunities, take photos, write reports, send press releases, interview people, jump around on the grass... all of course, while wearing heels, a hat and trying to look like a real lady. This brings me to fantastic places; Sotogrande, Zürich, Monaco, Paris and Baku (Azerbaijan) were some of my most recent polo destinations. The best and biggest polo tournament of the world takes place in Buenos Aires off course, so every November/December I get to come back to my beloved city. What are some of your preferred brands? 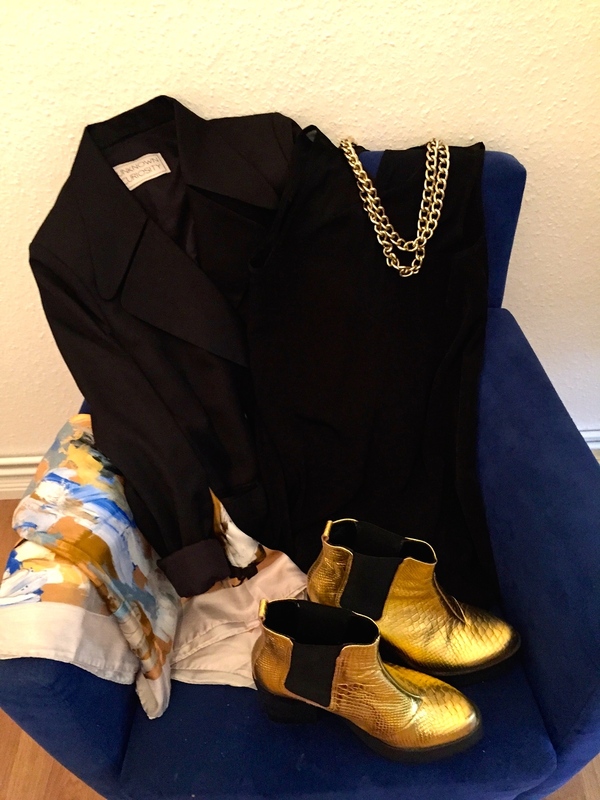 Anne Demeulemeester, Acne, Vintage Escada, Helmut Lang and if I have to go low budget, definitely Cheap Monday. 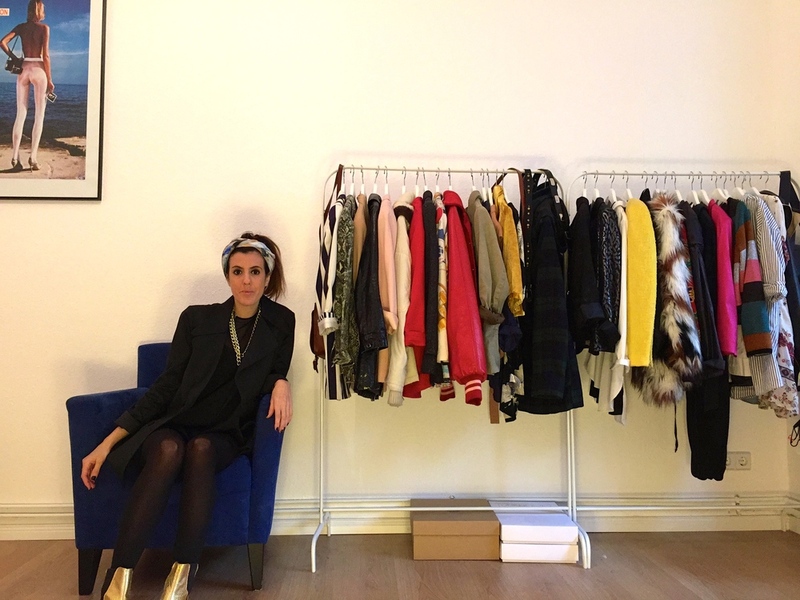 Being a jacket collector made it pretty easy to incorporate the Unknown Curiosity pieces in my wardrobe. I loved my classic double breasted Lou blazer from the start because it has an amazing cut, I have worn it to formal and informal occasions. The black triangle Ivy jacket was surprising because I was a little unsure on how to style it. As soon as I got it, I fell in love and eventually made it work with even more outfits than the classic black one. The rainbow metallic triangles give it a subtle wow factor and I simply adore the way everyone stares when I walk by wearing it. First look : Unknown Curiosity Ivy jacket, Topshop t-shirt, Zara scarf, Helmut Lang skinnies, Topshop bag and Cheap Monday booties. Second look: Unknown Curiosity Lou blazer, Cheap Monday onsie, Miista gold booties and an Acne Scarf. Third look: Topshop hat, Unknown Curiosity Lou blazer, A.Y. not Dead hoodie, Acne Basic Tee, Cheap Monday leopard skinnies and Asos booties. I love the sense of freedom it gives you. You're not attached to anything or anyone but at the same time you start appreciating your roots more. You always meet great people but your heart is somehere else. At the risk of sounding a bit melancholic, that feeling makes me feel alive. Are you planning on moving back one day? Not really, I plan on leaving Berlin some day but want to stay in Europe. What are your favourite cities or places around the world? Well, I live in the city I fell in love with but my soul (and blood, as I am both Argentinean and Italian) is Mediterranean. Just leave me in a city on the sea shore and I will be just fine. So can I just be quick and choose the whole Mediterranean shoreline? I used to drive my relatives crazy with random questions about everything and I never seem to have found a cure. So honestly, everything can make me itch of curiosity. All my favourite books are about someone that gets curious and changes the whole course. Unknown Curiosity to me, is that fantastic feeling you get when you find something you had no idea it could make your heart jump of excitement, and embark you on a new adventure. You usually get it while doing something completely different and it has changed my life quite a few times.